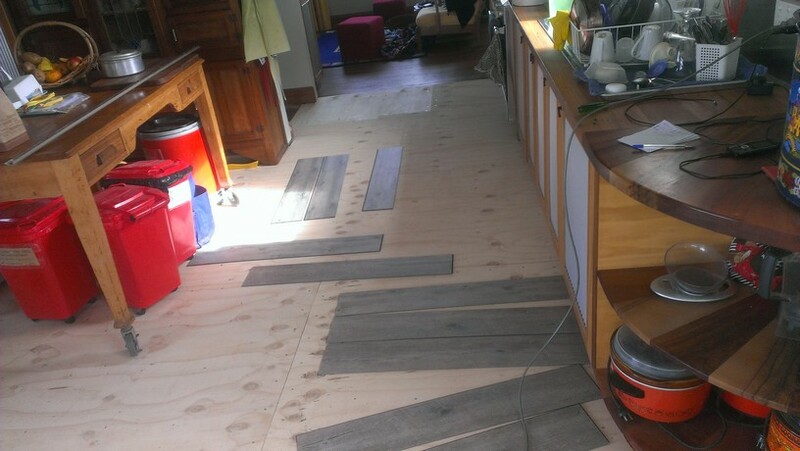 Sometime last year I started researching floor coverings for the studio and kitchen. There were numerous possibilities but slowly I narrowed them down. 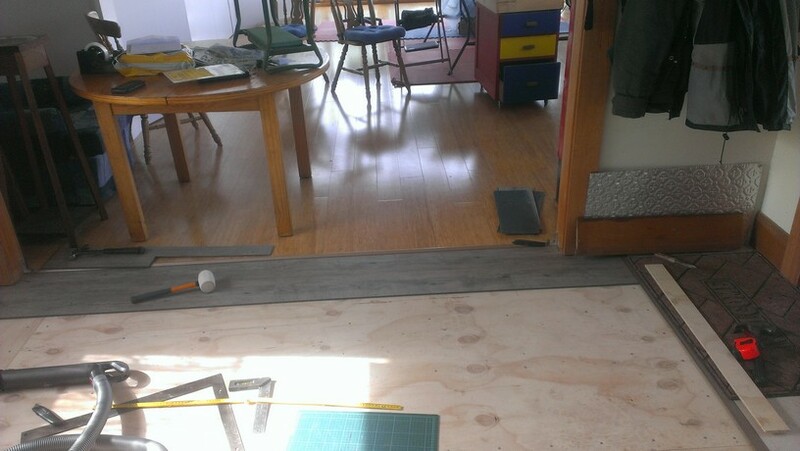 Marmoleum was high on the list but needed to be glued down. Rubber sounded good but only one company makes natural rubber floors and it is in France so rubber has to be shipped from Malaysia to France and then to Australia. Synthetic rubbers are made from oil so that was not on the list. Carpet did not even get on the list. In the end we made a list of questions and applied them to all the products. The questions we asked were. Was the product made from sustainable materials? How far did it have to travel? 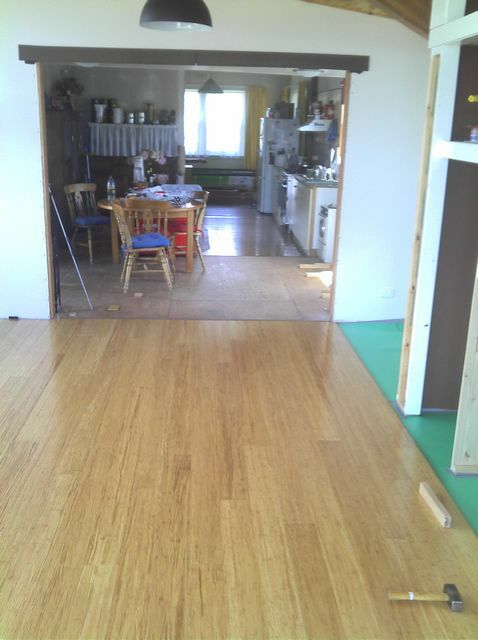 In the end it appeared that a floating bamboo floor would tick nearly all the boxes. 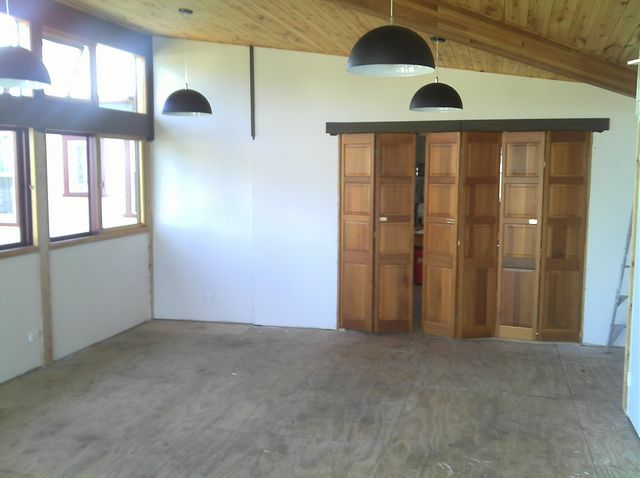 The clincher was a visit to GECA website (Good Environmental Choice Australia) and finding a couple of bamboo flooring companies that were GECA certified. 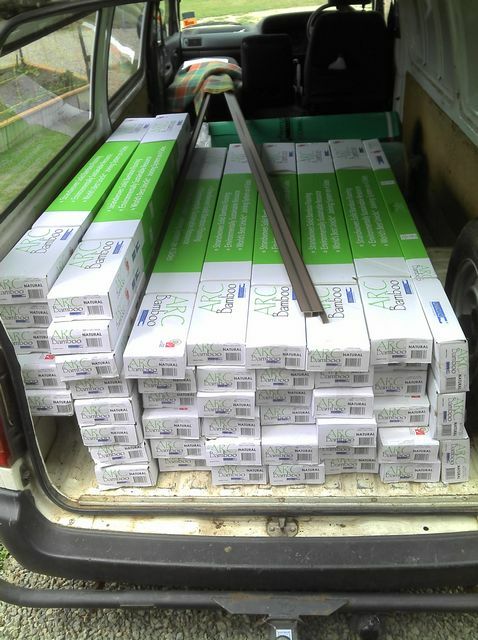 This included the levels of glues and binders used as well as the sustainable harvesting and planting of the bamboo. It gives some peace of mind. The only downside was that it was made in China so the travel was long. 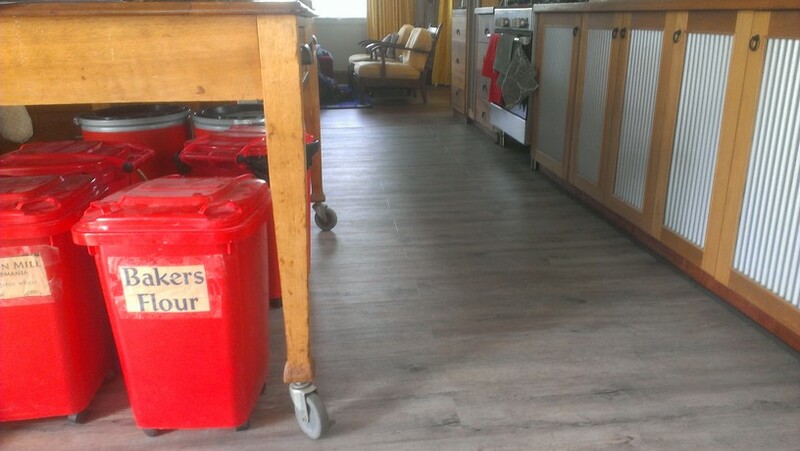 However all other flooring alternative apart from a cork/rubber composite came from overseas. 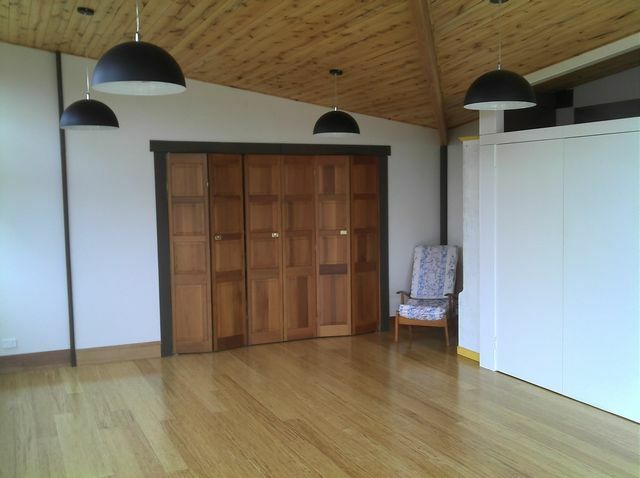 The cork flooring is made by Comcork from recycled corks collected by Guides Australia and rubber. It was very high on the list but needed glueing down which made recycling it very unlikely. 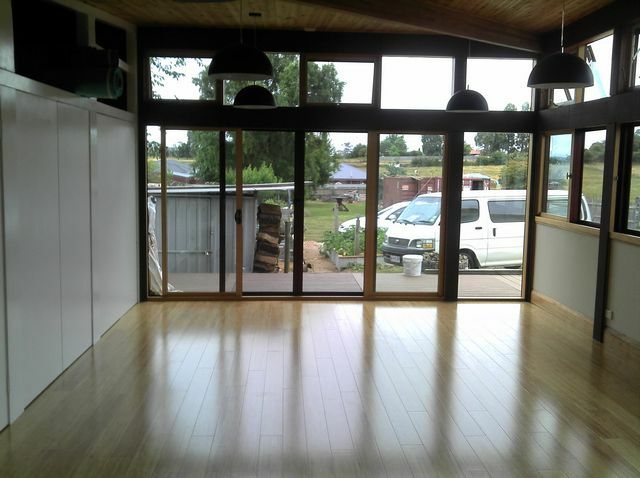 The Bamboo flooring we chose was Arc Bamboo in a natural colour. 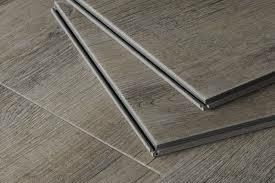 It is a strand woven bamboo flooring product 15mm thick that clicks together on all 4 sides using Uniclic technology. It can be resanded if necessary and came pre finished. 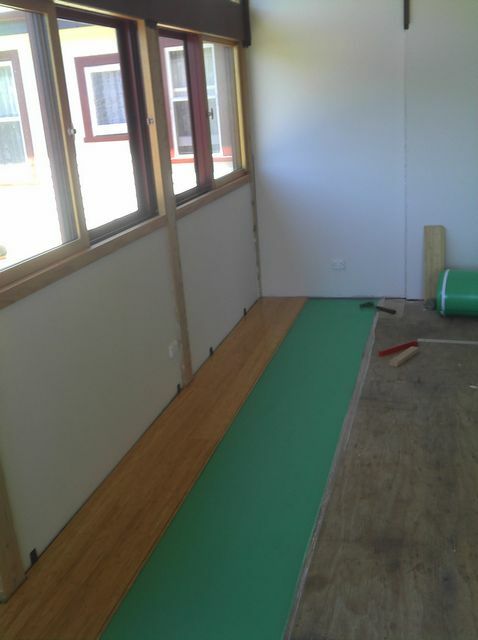 It is one of the few bamboo flooring products that is GECA (Good Environmental Choice Australia) specified. This means that the bamboo has to come from sustainable sources and the glues used are very low emission. Always good to check on the GECA website for products. It has been down for three months now and is performing well. It is easy to keep clean with an ENJO microfibre mop and sweeping. The aluminium oxide finish easy a little easy to scratch if not careful, but so is polyurethane. Photos below show the whole story. Before we started. Ecoply flooring. We bought it on special and saved 20% from Carpet Court in Invermay. Very friendly and came and measured up, gave us a quote and let us keep it at their warehouse until we needed it. I picked it up just before Xmas. There were five planks in a pack and 59 packs. the van knew it had a load on board, especially as we had discovered that it was only running on 2.5 cylinders. A dream to lay. It floats literally over a 3mm foam underlay. The profile “Uniclic” edges ensures that it all fits together very easily. You have to leave a 12mm gap around the edges for expansion and contraction. this was hidden under the skirting.